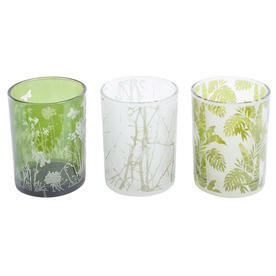 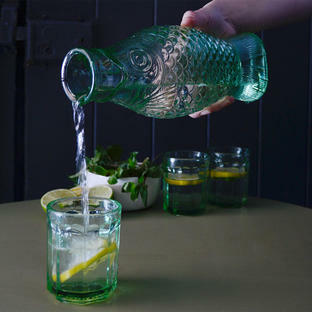 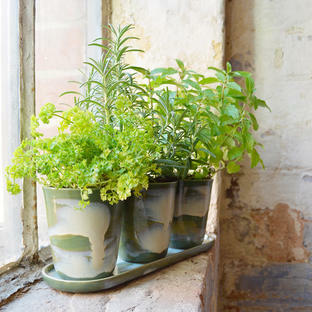 Bring a hint of Spring and Summer to the table with these coloured glass votives with elegant foliage design. Fresh and floral and with a hint of Spring, these glass votives have elegant leaf designs and will come to life with a flickering candle or tea light. 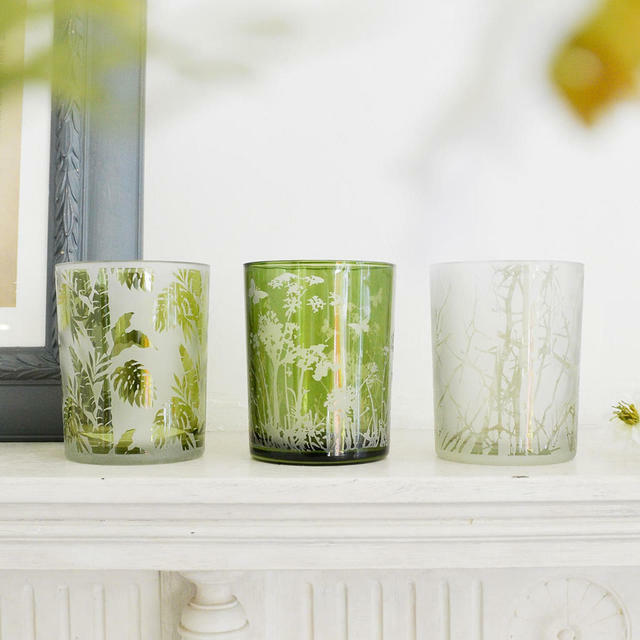 The light twinkles through the design, allowing the votive to sparkle and shine. Each votive in the set of 3 has a different pattern.